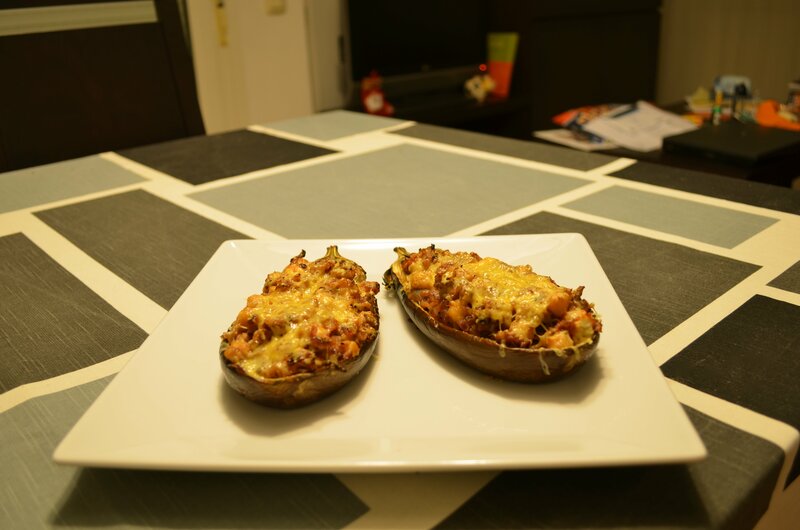 I’ve been thinking about a stuffed eggplant recipe for some time and finally I came out with my own recipe. 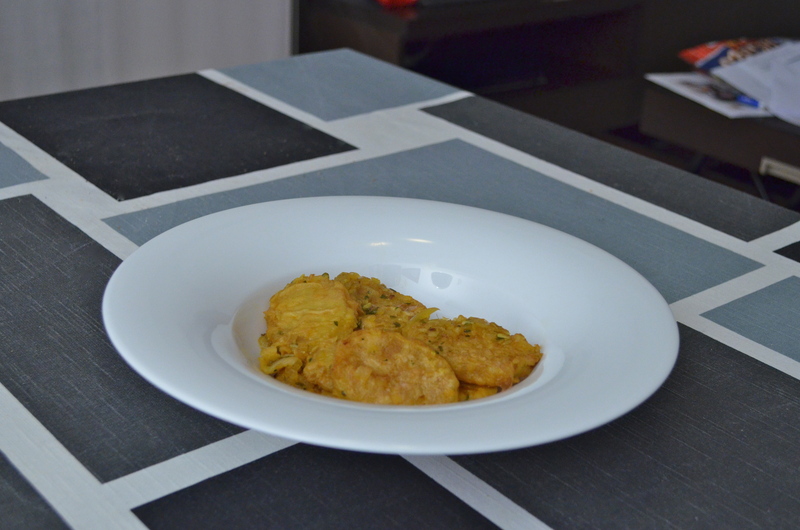 This recipe is vegetarian, and probably you won’t miss to much meat here, I am not vegetarian myself, but I think it is also good to offer vegetarian recipes in my portfolio. Let’s start preparing the eggplant cutting it in half, then make incisions with a knife on its pulp, one of them close to the skin. Those incisions are made in order to retire later the largest possible amount of pulp. 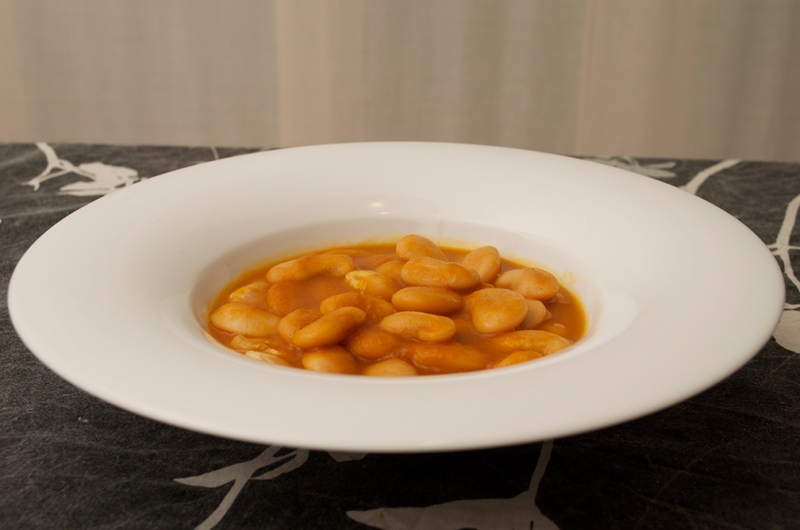 Add also some salt and olive oil and cook in the oven at 350º F (180ºC) for 30 minutes. Once the eggplant is out of oven let rest for 20 minutes to prevent burning your finger while extracting as much pulp as you can, but being careful to not break the skin. 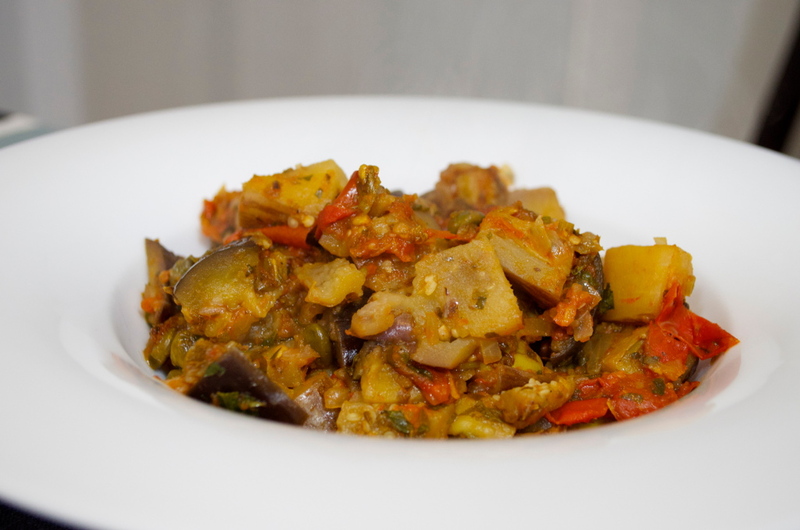 Chop the eggplant pulp as well as an onion and a tomato. 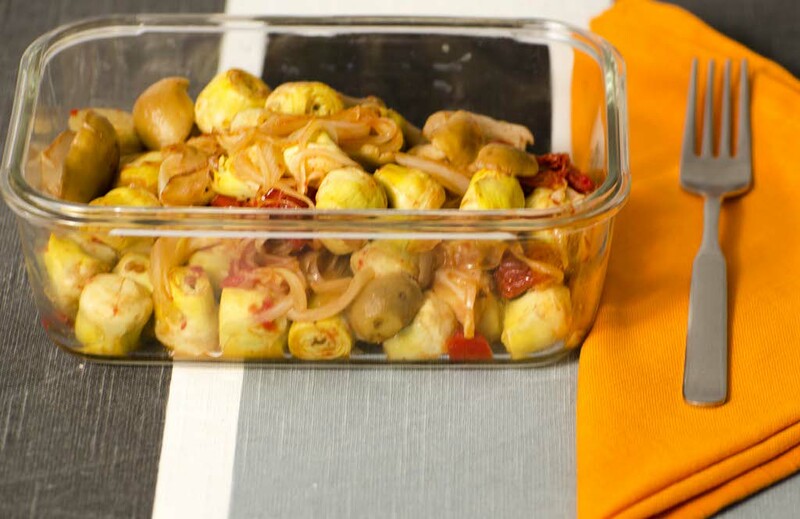 To prepare the filling add a bit of olive oil in a pan and then add the onion, tomato and eggplant pulp. Stir it and add also 3 crushed garlic cloves, cook all for about 20 minutes at low fire, stiring frequently and adding some olive oil if the mix gets dry. After that add 100 gr of cooked chickpeas with a bit of the water of the can, keep cooking until this water is evaporated and finally add 100 gr of feta cheese, stiring continously until the cheese is melted. Now fill the eggplant with this mix and cook in the oven at 350ºF (180ºC) for 8 minutes, then activate the grill and add some grated cheese over the eggplant cooking it for 4 minutes more. It will be better if you have a mandolin to cut ingredients, if not cut first onto strips half cabbage, then turn the strips and cut again so you will get thick and long strips. Cut one medium onion or two small the same way you cut first the half cabbage. It should be nice to cut 2 carrots in thick sticks, I found the way to do it cutting first thick sheets with a potato peeler and then cutting with a knife, but if you don’t have time or patience you can just grate the 2 carrots. Finally grate an apple. 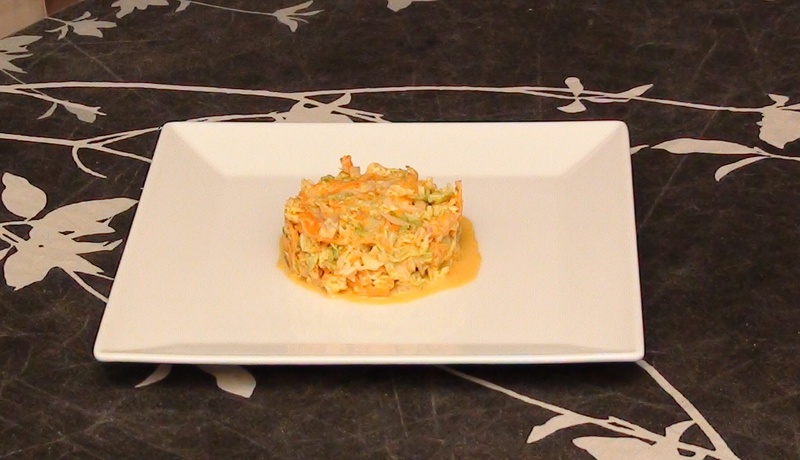 On a big bowl add the cabbage, the onion, the carrot, the apple, the juice of one lemon and optionally a tablespoon of sugar. Finally prepare a sauce with 3 tablespoons of mayonnaise, between 1 and 2 tablespoons of mustard, and you can also add a bit of soy sauce. Mix well and then add to the bowl. Now just mix everything in the bowl and also compress it. Cover with transparent film and let rest one night in the fridge. 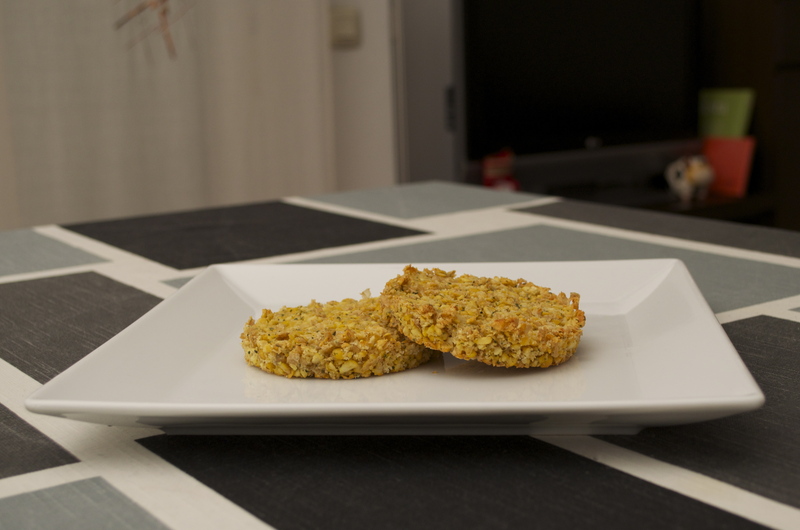 Remove from fridge at least half hour before serving.